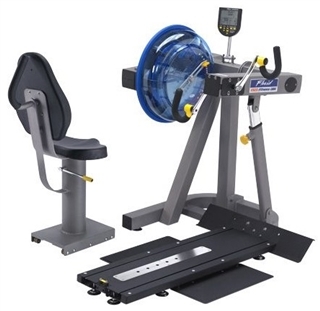 First Degree Fitness Upper Body Ergometer w/Crank Arms, the Evolution E820 Fitness UBE is an outstanding upper body ergometer that offers versatility for standing or seated use. 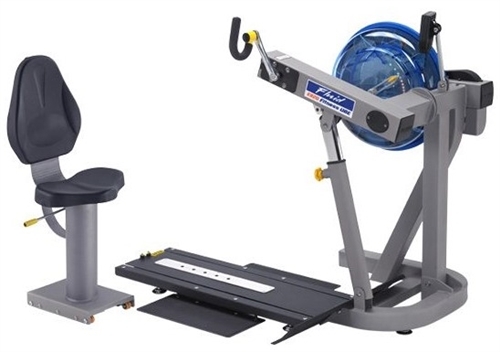 Suited to high use facilities, the E820 Fitness UBE is a popular choice for commercial gym and professional rehabilitation facilities. The E820 Fitness UBE has a fixed arm length and self-levelling ergo handles to ensure instant adaptability for high volume use and group fitness. The seat can be adjusted at the turn of a level and moved to the rear of the platform for standing usage. Foot Support: Wide Foot Supports Ensure a Solid Platform For Any Size User to Maintain Total Stability During Exercise. Handle: Self-leveling, Comfortable Ergonomic Hand Grips Reduce Wrist Torque.